As Alaskans, we take great pride in welcoming visitors to our beautiful state. That is especially true when our guest is the President of the United States. When President Obama announced he would visit at the end of August, I thought of how exciting the experience would be for him – of the breathtaking scenery he will see, of the spectacular wildlife he will encounter, and of the amazing people he will meet. I hoped the president’s trip would highlight the importance of cooperation and collaboration between the federal government and our state. I have offered recommendations to the president about what he should do and whom he should talk with to discover Alaska – people and places that will show him our pioneering spirit, our heritage, our independence, our responsible approach to resource development, and our vibrant Arctic future. If the President takes the time during his visit, he will learn that Alaskans are already at the leading edge of innovation on renewable and other emerging energy technologies. From the integration of renewables with diesel generators on micro-grids to the development of high-efficiency, sustainable housing, Alaska is not just “ground zero” for the impacts of climate change — we are also at the forefront of potential solutions to it. Alaskans are engaged in these efforts because we are good stewards of the environment, and because we want to reduce the cost and improve the reliability of our energy supplies. So while I join Alaskans in welcoming the president and the attention to Arctic issues, I hope he will avoid a singular focus. If he comes to Alaska with an open mind, he may also reach two important conclusions about climate change in our state. First, that climate change must not be used as an excuse to deprive Alaskans of our best economic prospects. Many renewable energy projects in our state were made possible with state revenues derived from oil production. Our Permanent Fund gave the world a model of how to transform non-renewable wealth into a renewable resource. But Alaskans have also created the Renewable Energy Grant Fund, the Home Energy Rebate and other programs designed to invest in efficiency or renewable energies. Because we are so closely connected to the price of oil, from our state budget to our household energy bills, Alaskans have wisely developed institutions and programs that maximize the benefits of resource production to improve the lives of our people. Second, that climate change is an opportunity for the federal government to partner with Alaskans. 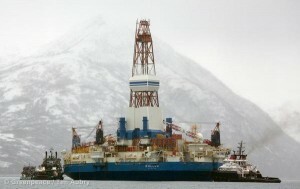 Rather than increasing the regulatory burdens imposed upon us, the president should direct federal agencies to work in greater partnership with our state government, University, the Alaska Center for Energy and Power, the Cold Climate House Research Center, the Alaska Village Electric Cooperative, and others. The best outcome of the president’s visit would be an improvement in the way the federal government approaches its responsibilities in Alaska. Too often, federal agencies come to Alaska with preconceived ideas and leave behind the latest gizmo rusting on the tundra. Instead of simply helicoptering in, federal agencies need to collaborate with Alaskans who have been adapting and innovating in our environment for thousands of years. Alaskans are proud of our long history of responsible development in often challenging environments. 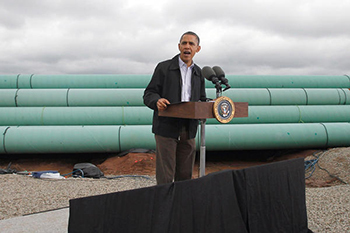 We know that growing our economy and protecting our lands are not mutually exclusive goals. For example, Alaska boasts the nation’s largest state park system, and has been safely providing the nation with oil from Prudhoe Bay for four decades. What Alaskans want from their president is a partner who is willing to pair stewardship and opportunity for our people. If the president makes an honest effort to engage with Alaskans, I promise he will find a willingness to work on shared goals and leave as awed by our people as he will inevitably be by our mountains. 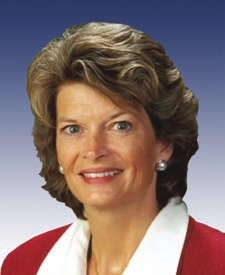 Lisa Murkowski is a Republican senator for Alaska.